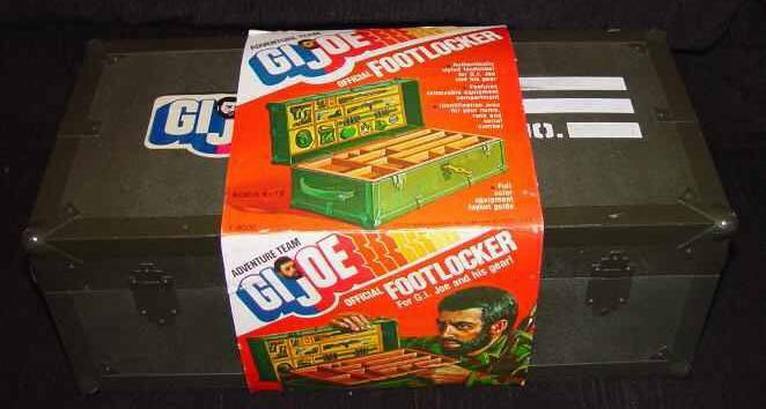 Hasbro updated the original Footlocker in 1975, making it out of plastic rather than the original sturdy wood design. 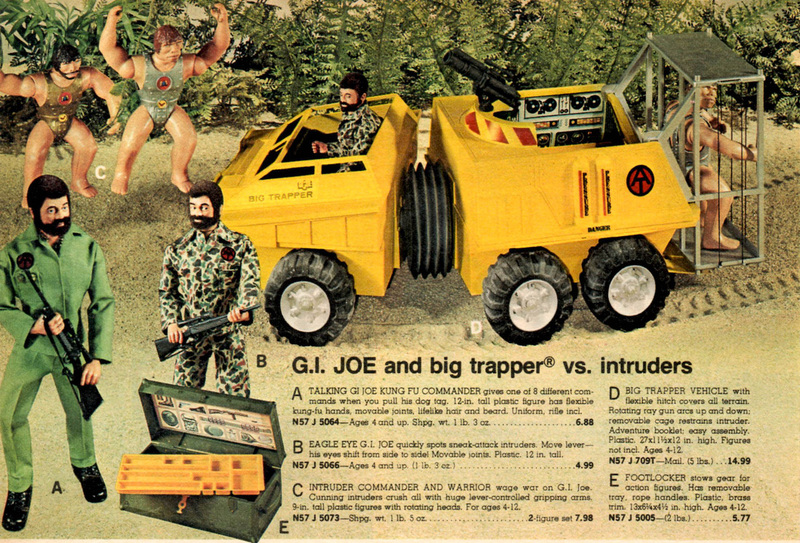 Oddly, the interior lid graphic still showed off Joe's military era accessories though many of the items hadn't been available for years. The plastic hinges and handles of the set break easily, and a decent one is hard to find. The tray for these lockers is a solid lightweight tan plastic rather than the varieties found in the original version. Picture of the locker as it showed up in stores with the ultra rare original sleeve courtesy of the great John Ramirez. Below, Joe wonders where the military gear came from. Maybe it's all army surplus from the basement of Adventure Team Headquarters. The plastic footlocker shows up in the catalog advertisement below. Interesting to note that the description is clearly about the wooden version though the image depicts the plastic type.